Who wouldn't be with a week like she's had. She's now an L1 rock star inside MLSP, and we know it won't be long until she's L2 and beyond. MLSP CEO Brian Fanale always says that L1 is the hardest one. However what Natasha now knows, is that the person and marketer you become getting there will change your life! 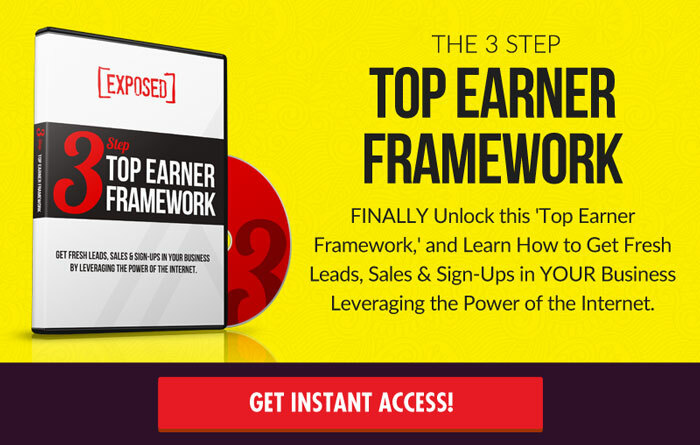 When you figure out how to use attraction marketing the right way… residual leads most certainly become a thing! A thing that never gets old. Steve Krivda got excited for Georgianna Garcia this week with good reason! Lost 18 pounds on her weight loss journey! Signed up a new Mastery member! BOOM! Steve's not the only one excited for this gal!! We are too! But that just shows you what an awesome coach Steve is, and what an amazing go-gettin' student Georgianna is! Steve wasn't done with the shoutouts. 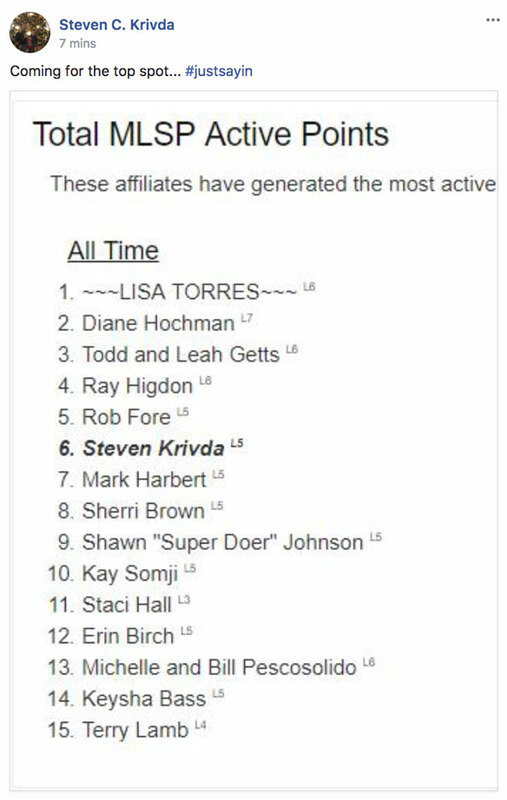 Karen McKeighten pulled in 2 more sales for her company, and Steve and now MLSP can't shout it out loud enough. Nazreen Zaman is another of the many supportive people inside the MLSP Community. She did a big shoutout for Sheereen Noor in the group, because Sheereen is taking big steps in her business. And that’s what it takes to create freedom in your life! 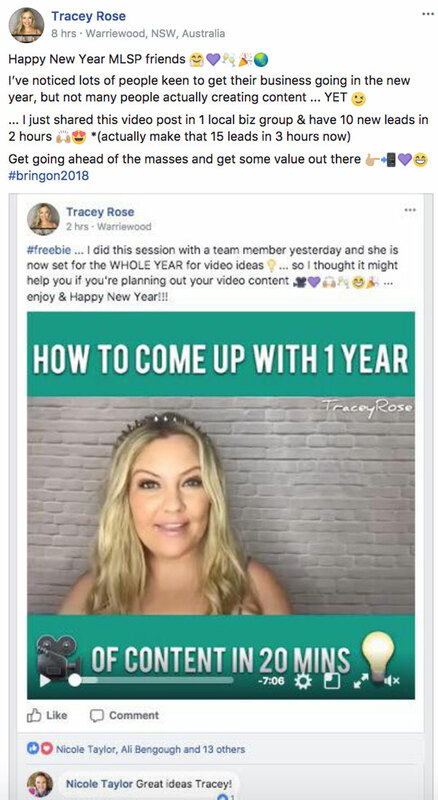 She shared this video so that others can start off 2018 with a content marketing strategy and a year's worth of content ready to go! 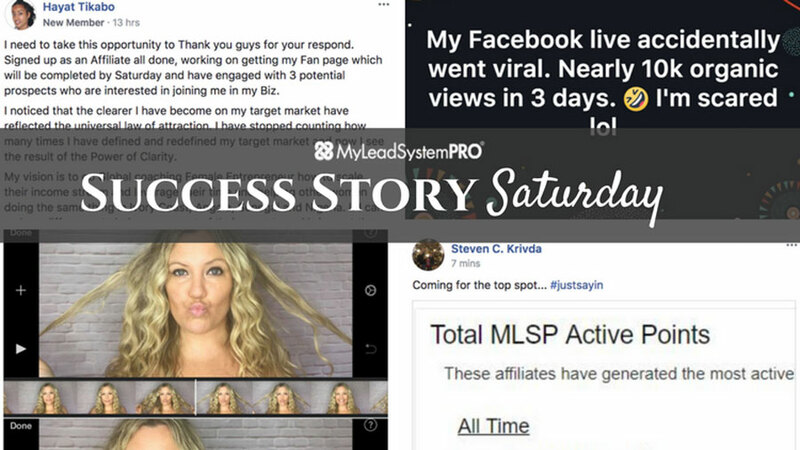 And she’s sharing her success story with YOU so that you can see what’s possible for your business in 2018! We've got the best community ever! She's ready for 2018 and looks like she's going to kill it. She’s certainly doing all the right things. Facebook Challenges are a great way to jump start your year, that's for sure!! BOOM! 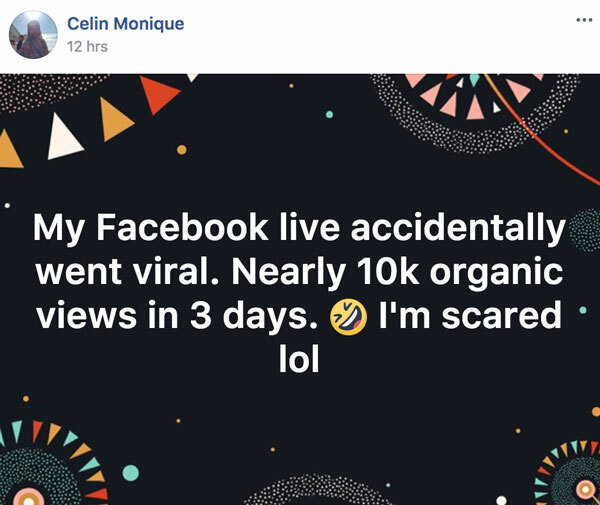 Celin Monique is becoming a viral sensation. And most certainly a sensation in the home biz world. Steven C. Krivda is on the move! On the move UP that is. He's sitting pretty at #6 on the ALL TIME category of the leaderboards, with some tough competition ahead of him. However if you know Steve Krivda, is mindset, and his selfless giving spirit…then you know he's gonna hit his goal! 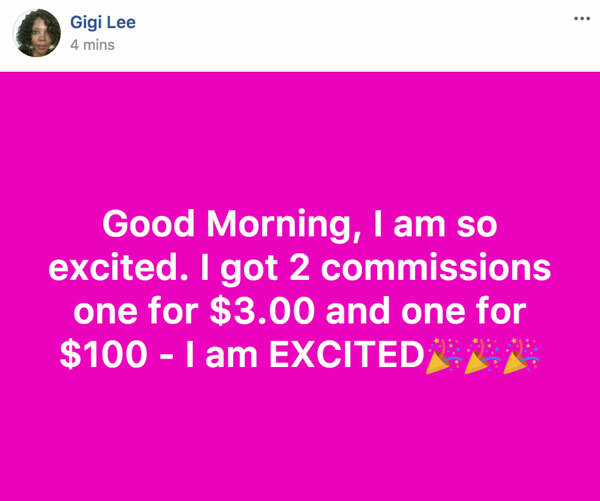 Gigi Lee is doing it! She's getting commissions and building her business like a champion! 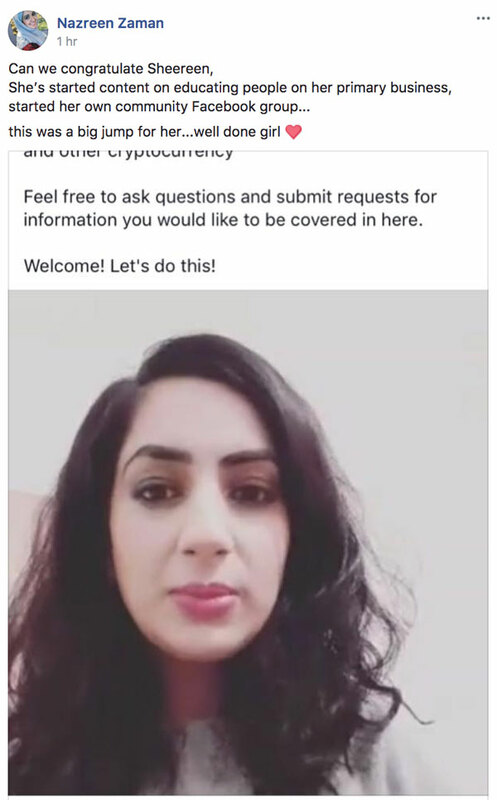 Kassandra Keeton has been doing her due diligence and finding ways to get more people to her 5-day marketing boot camp. 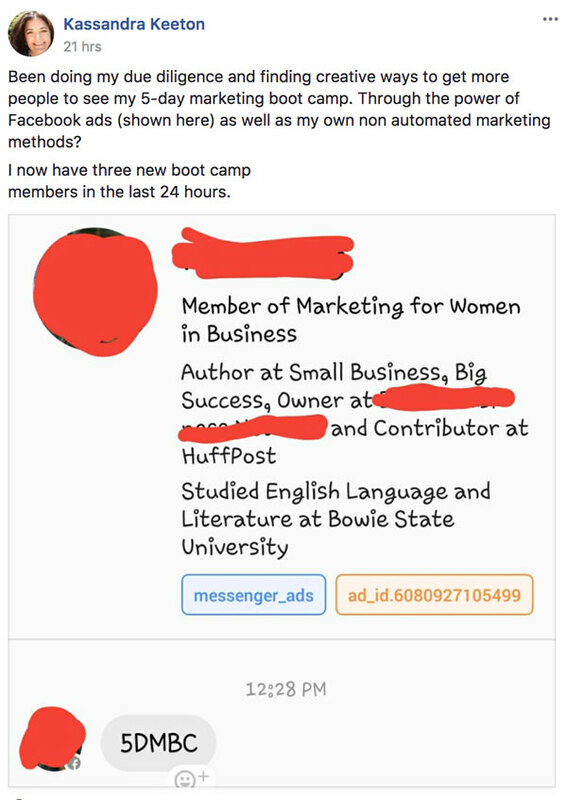 And through the power of Facebook ads she is succeeding. 3 new challengers in 24 hours is awesome! Great job Kassandra! But Danny Reardon has proven himself wrong, because that's exactly where he ended up. On the MLSP leader boards…and with some darned good company too. You owe it to yourself to read all of Danny's post below, because it's the great comeback story, and we couldn't be prouder to have it here inside our MLSP Community! Thanks for sharing your story Danny! Amazing and inspiring! Check Out All the Stories Below Now!! These stories are here to show you what’s possible in your life and business. It’s up to you to read them, and come away with a different mindset of YOUR potential!! This is so exciting! Congrats to all! 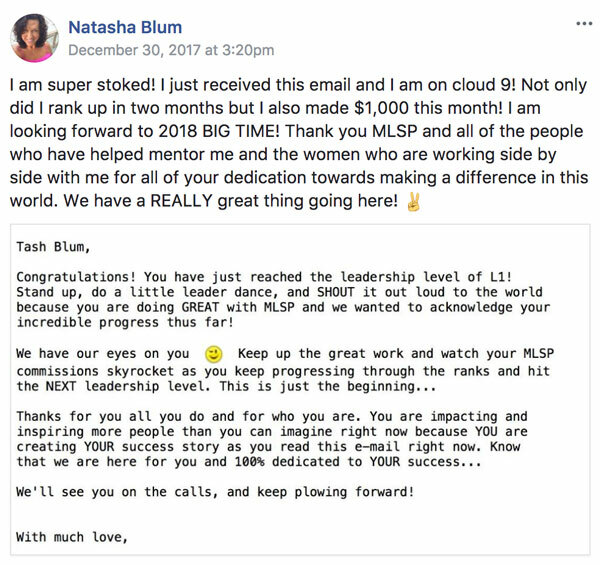 I have to say, before MLSP & learning the Attraction Marketing strategies, I was struggling to find the inspiration to continue on with my MLM. MLSP has given me a new fire in my belly that makes me want to jump out of bed and show up! I see unlimited potential to what I can do within this marketing system. Thank you MLSP and all of the amazing people who support and inspire within this community of awesomeness!! <3 LOVE IT! This family will change your life indeed... keep going Natasha! Thrilled to have been mentioned in this post! I love this community!